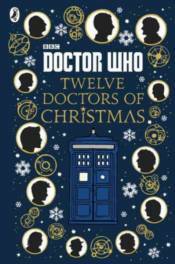 A new illustrated collection of Doctor Who stories, each featuring one of the twelve Doctors off on a festive adventure in his trusty TARDIS. These adventures will be full of magic, mystery, excitement - and everything else that fans love about a Doctor WhoChristmas special. A new illustrated collection of Doctor Who stories, each featuring one of the twelve Doctors off on a festive adventure in his trusty TARDIS. These adventures will be full of magic, mystery, excitement - and everything else that fans love about a Doctor WhoChristmas special.